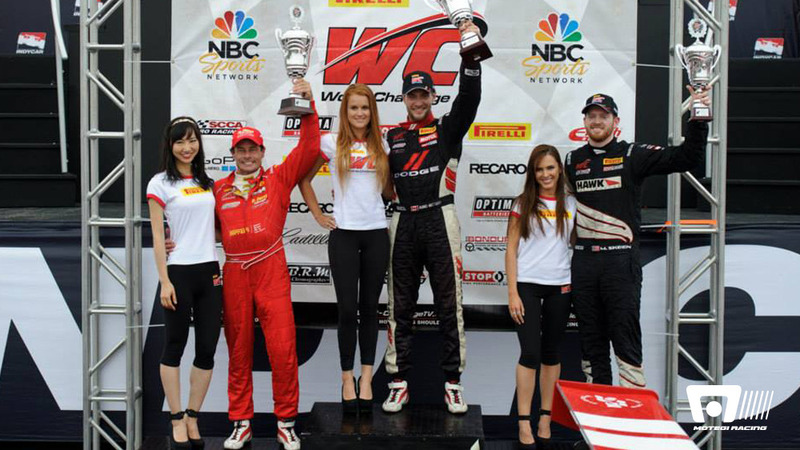 LEXINGTON, Ohio – Anthony Lazzaro made a daring double position pass and finished third in the SCCA Pirelli World Challenge race Sunday at Mid-Ohio Sports Car Course and that podium finish elevated him to third in the GT class championship standings as well. Driving the Motegi Racing wheels-equipped No. 61 R. Ferri Ferrari 458 Italia GT3, Lazzaro passed both Johnny O’Connell and Andrew Palmer in one bold sweep on Lap 12 to move into his ultimate finishing position, in what was awarded the Invisible Glass Clean Pass of the Race. It was the sixth podium of the year for Lazzaro, who won at Barber Motorsports Park earlier this year. Lazzaro jumped from fifth to third in the Driver championship standings, tied with Palmer with 1039 points only seven points behind second place Mike Skeen. O’Connell leads with 1,228 points. Skeen had podium finishes in both races at Mid-Ohio, while Lazzaro had a fourth in Saturday’s race. Meanwhile, rookie Henrik Hedman fell out of the GT-A Drivers points lead with finishes of eighth and ninth in his Motegi-equipped No. 10 DragonSpeed Ferrari 458 Italia GT3. Michael Mills had a double victory in his Porsche GT3 R and took over the GT-A points lead, 570-543 over Hedman. 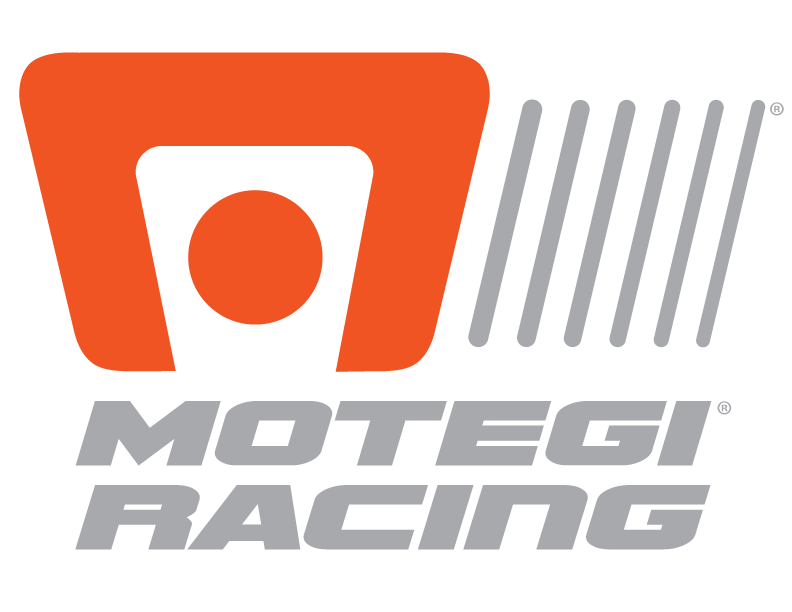 Motegi driver Dan Knox is now third in the Driver championship standings with 536 points. Knox finished fifth in both GT-A races at Mid-Ohio in his No. 80 Riley Motorsports ACS Mfg/Performance Speed Tech Dodge Viper SRT GT3-R.
“We are on a roller coaster as far as performance,” Lazzaro said. “Sometime we get it and sometimes we don’t. Today we were still slightly missing something, but we started sixth and ended up third. Hedman came to Mid-Ohio as the GT-A points leader, but was off the pace. “I think the car ran well today,” he said “I was not the driver in the car I was the passenger. It was really a terrible race for me, as much as the car did its job. We started back in the field and finished the same way.